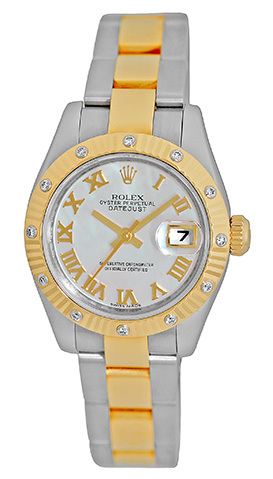 Certified Pre-Owned Lady's Stainless Steel & 18K Yellow Gold Rolex "Datejust". 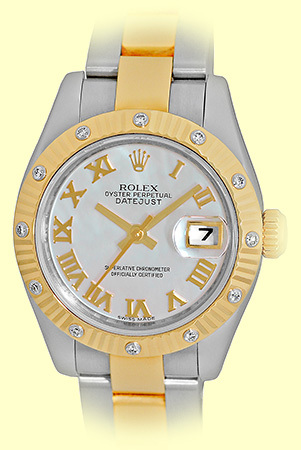 Factory Rolex Mother-of-Pearl Dial with Yellow Gold Hands and Roman Numerals, Center Sweep Seconds Hand, Date Indicator. 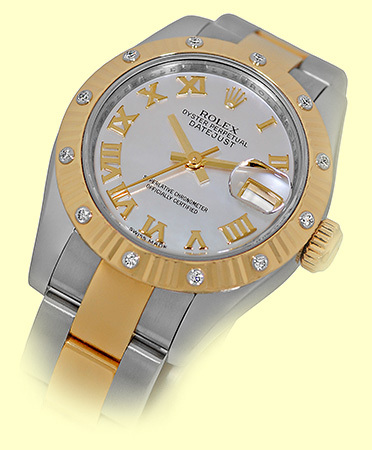 Factory Rolex 18K Yellow Gold Fluted 12 Stone Round Diamond Bezel, Quickset Movement, Sapphire Crystal. 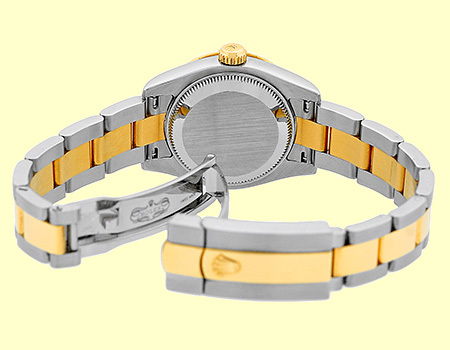 Matching Stainless Steel & 18K Yellow Gold Rolex "Oyster" Bracelet with Folding Oysterclasp. 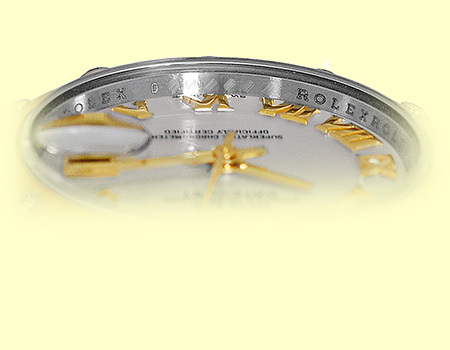 D Serial Number, Circa 2005-2006 Production. 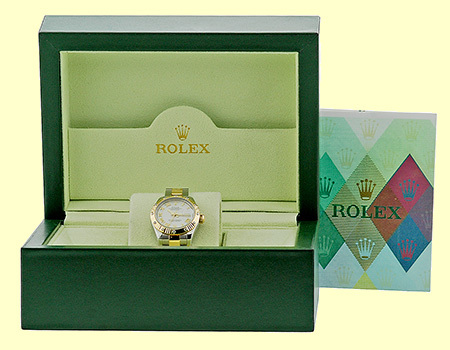 Certified Pre-Owned, Perfect Condition with Rolex Box, Booklet, Warranty Papers(Dated 02/2008), Hang Tag and complete with Capetown's Lifetime Warranty! !